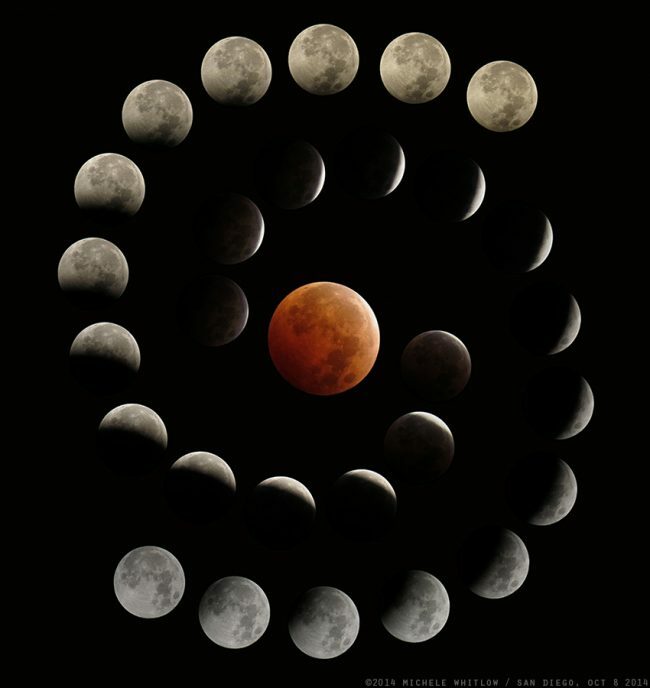 On January 20 and 21, a full moon, Wolf Moon, Supermoon, and a total lunar eclipse took place. In 2019, there will be 3 solar eclipses and 2 lunar eclipses. On January 20, the first full moon and first lunar eclipse happened. The lunar eclipse is being called a Blood Moon because the sun Earth and moon line up and the moon passes through the Earth’s shadow making it a reddish color. A NASA scientist said, “The exact color that the moon appears depends on the amount of dust and clouds in the atmosphere” so it can appear more red depending what’s in the atmosphere. During the Blood Moon, a meteorite hit the moon. It was very unexpected but according to Space.com that’s how the moon gets it craters. There are 3 types of lunar eclipses, total, partial, and penumbral. The first lunar eclipse of the year was a total lunar eclipse meaning Earth’s shadow completely covered the moon. A Blood Moon will usually happen twice every three years. However, it depends on the number of total lunar eclipses during a year. The Wolf Moon was named by some Native American tribes after wolves would howl loudly outside their villages, but this year’s Wolf Moon was also a Supermoon. A Supermoon is a full moon that is at the moon’s closest point to Earth. There will be 6 eclipses in 2019, depending on where you live. There was a solar eclipse on January 5, and a lunar eclipse on January 20. There will be a solar eclipse on July 2, and December 26. There’ll be a lunar eclipse on July 16. On November 11, there will be a transit of Mercury, meaning Mercury will directly pass between the Sun and another planet, and Mercury will appear as a black dot moving across the Sun. 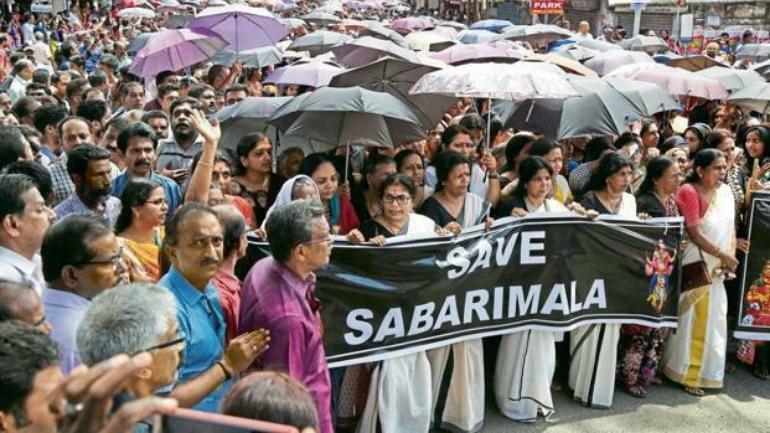 In Kerala, a state in southern India, a ban was put in place on women entering the Sabarimala temple for prayers last September. On January 1st, 2 women were the first to enter the temple in centuries, and as a result, it caused many violent protests. The Supreme Court lifted the ban because they believed it discriminated against women, and they should be able to worship in the temple. A spokesman said that the 2 women tried to enter the temple in December, but violent mobs blocked the temple doors. The names of the 2 women are, Bindu Ammini and Kankadurga, and they’re currently hiding from the mobs and are staying with their relatives. The mobs got so bad that cops had to bring water cannons and tear gas to break it up. One of the protesters was a man that was in the BJP ( Bharatiya Janata Party). According to CNN, The BJP are trying to keep the ban, but the man was killed by protesters who threw stones at his head. The 2 women got help from police to enter the temple, which may have also caused the violent riots. So far, the police have arrested 2 people, and 4 people were injured. According to CNN, the police have said they will continue to provide protection for women that want to enter the temple, and people that oppose their decision will have to go the Supreme Court later in the month. After George H.W. Bush served as the 41st President, he and his wife both suffered from Graves‘ disease. In the early 2000s, he started to have an irregular heartbeat, and started to faint in public, and he would immediately go to the hospital but was released the next day each time. Bush was diagnosed with a rare form of Parkinson’s called vascular Parkinsonism. Over the years, he has been accused of groping women. His office released a statement saying his Parkinson’s may be the reason of his touching. Since 2012, Bush was forced to ride a scooter because of his Parkinson’s disease. In 2015, Bush suffered from a neck injury and couldn’t attend Trump’s inauguration. In January of that year, he was in the intensive care unit with a respiratory problem from pneumonia. On Novermber 30, 2018, Bush died due to his health conditions, at his home in Houston. 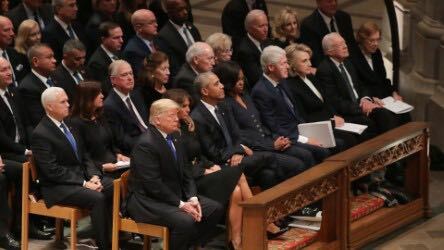 Bush’s funeral was held on December 5th and all of the former presidents attended, including Donald Trump. Bush was buried next to his wife, Barbara, who died in April of 2018. When Bush turned 94, he was the only president to live up to that age, but in March 2019, Jimmy Carter will be the oldest living president. Morphe (a brand of makeup) just had its biggest in-store launch at the Mall of America on Nov. 3rd. 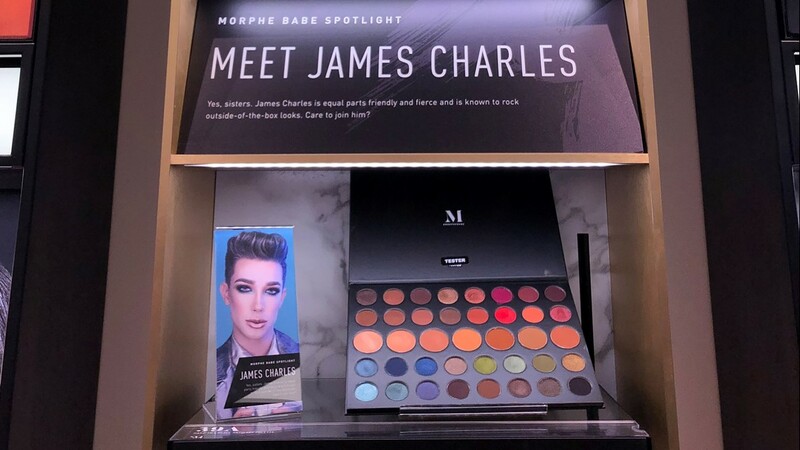 To celebrate the grand opening, makeup artist and beauty blogger, James Charles, made an appearance at the ribbon cutting, and also announced his first collaboration with the beauty brand. There was also a meet and greet, on a first come first serve basis, and only the first 250 people received a wristband allowing them to join the festivities. Some of the festivities included getting autographs, taking pictures with Charles, and getting some makeup advice from him. The store in the Mall of America is the first brick and mortar mall store for Morphe. They started as an online company, and had one stand alone location in California. So the opening of this store was kind of a big deal. Charles, is well known as the first male cover model, and he has used that fame to start a Youtube channel with over 5 million subscribers. He is known for his makeup tips and tutorials. The Youth 2030 project was launched on Monday, September 24, at the 73rd UN General Assembly. The goal of the project is to make sure every young person is empowered so they can reach their full potential and to protect human rights of the youth. Youth 2030 is a framework to assist the UN towards their 3 pillars: peace and security, human rights, and sustainable development. The UN aims to strengthen the engagement of young people and to benefit from their ideas and views. For their goal, the UN has come up with 5 priorities which are to: amplify youth voices to promote a peaceful and sustainable world, support young peoples’ access to quality education and health services, support young peoples’ greater access to decent work, protect and promote the rights of young people and support their political engagement, and support young people as activists for peace and security. Separate from the Youth 2030 project, the UN has also launched Generation Unlimited. It’s a project that mainly focuses on young peoples’ access to better education, receiving employability skills, and empowerment. Today in the world, there are about 1.8 billion young people between 10 and 24 years old, with nearly 60% living in developing countries. Many do not enter or complete secondary education, and don’t acquire the skills they need to get jobs, which puts their future at risk. By 2030, the UN wants to make sure that every young person has access to education, learning, and employment. The time has come again for BTS to gear up for another successful world tour. BigHit, BTS’s label, announced their upcoming world tour on April 26, 2018. The initial number of shows were 7 in Asia, 15 in North America, 7 in Europe and 29 in total, but BigHit revealed on July 30, 2018 that they’ve added 4 more shows to the Japanese leg of the tour, making it 33 total shows. So far, they’ve had 12 shows in Seoul, Los Angeles, Oakland, Fort Worth, and Hamilton. All of their shows have been sold out. They performed at the Seoul Olympic Stadium, with 90,000 people in attendance. In their North America locations, they’ve performed at the Staples Center, Oracle Arena, Fort Worth Convention Center, and the First Ontario Centre, and had 164,000 attended in total. BigHit has announced that BTS will be performing at Citi Field Stadium in New York. Tickets sold out in 20 minutes making them the first Korean artists to have a concert in a U.S. stadium. For the European Leg of the tour, BTS will be visiting London, Amsterdam, Berlin, and Paris. The London dates sold out in two minutes, and the Berlin shows sold out in nine minutes. BigHit has revealed that all 100,000 tickets for their European leg have been sold out. With almost every show sold out, new locations and concerts are in high demand. BTS will most likely be adding more events to their tour, so the ARMY (BTS’s fan base) should be on the lookout for additional tickets and concerts.